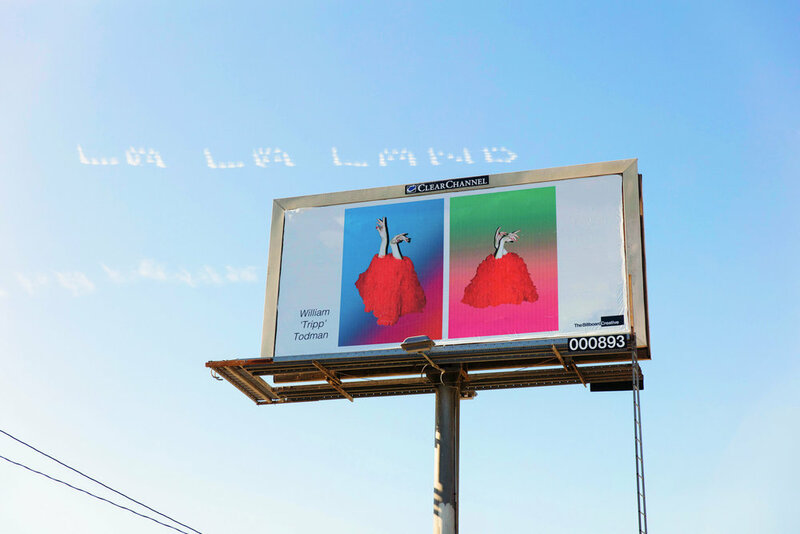 In December 2016, 45 LA billboards have been transformed into public art spaces with works from emerging and established artists including Paul McCarthy and Alex Prager. 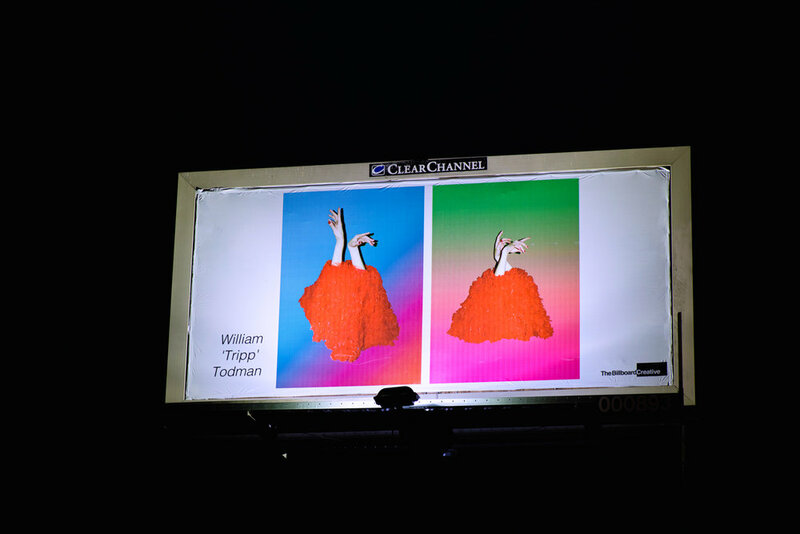 The Billboard Creative connects artists with mass audiences on the streets of LA, and bringing art into the daily routines of tens of thousands of Angelenos. On view Dec-Feb on Melrose between Hobart and Serrano (south side, facing east).